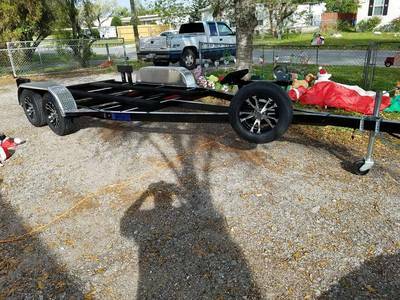 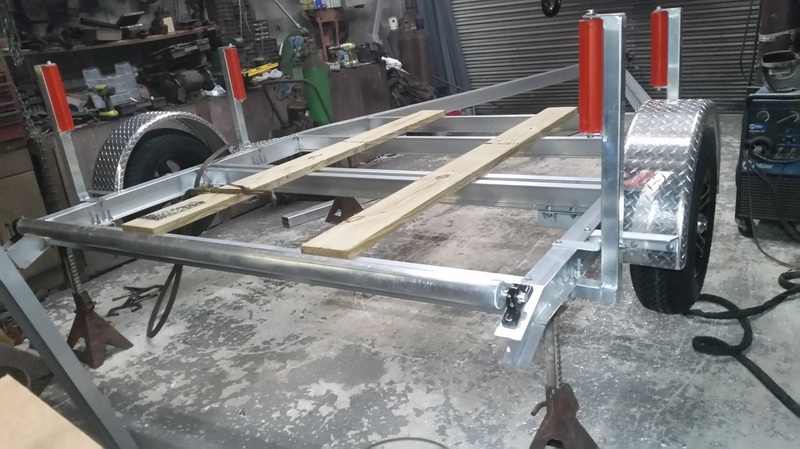 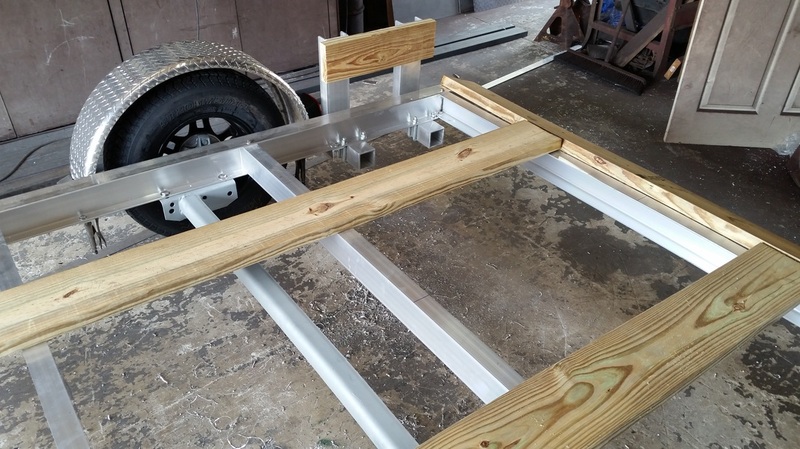 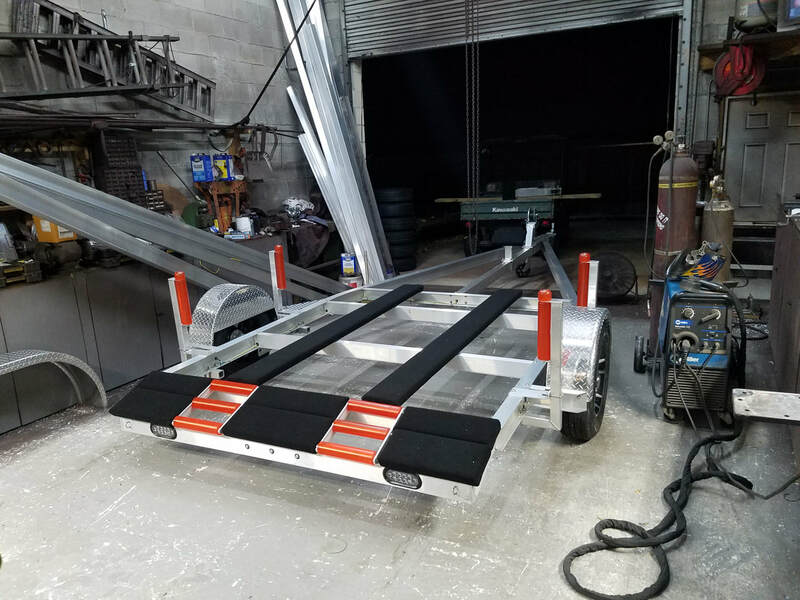 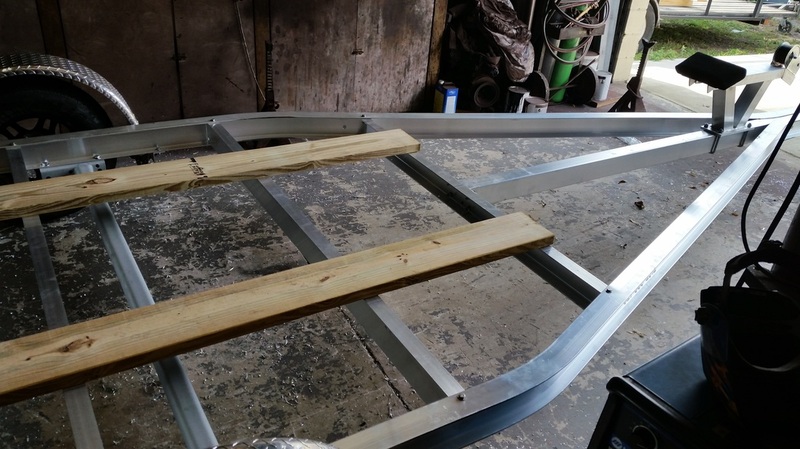 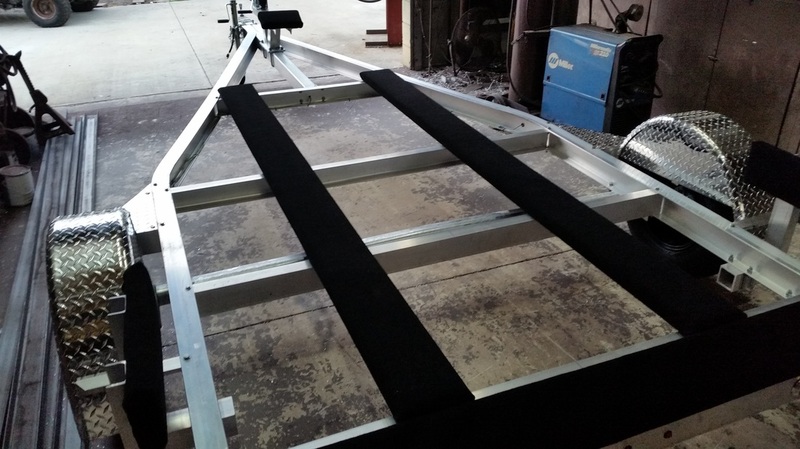 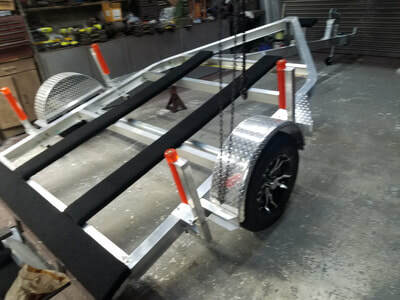 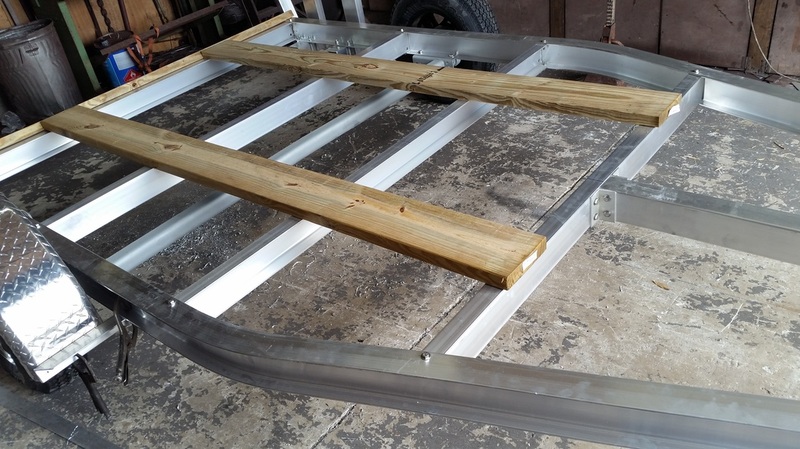 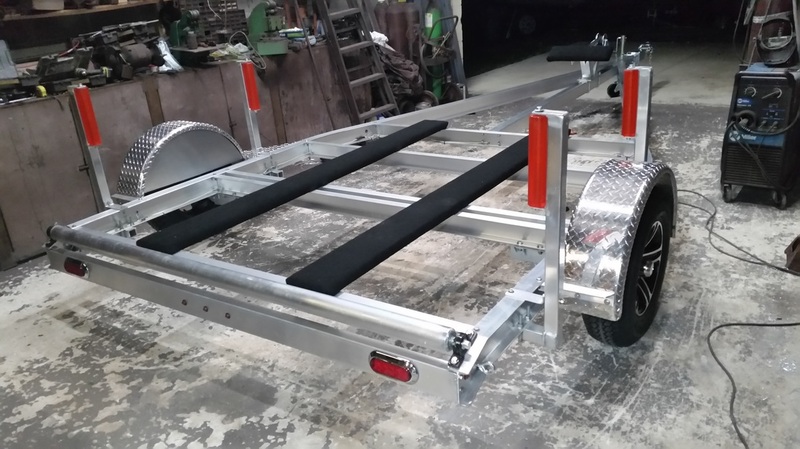 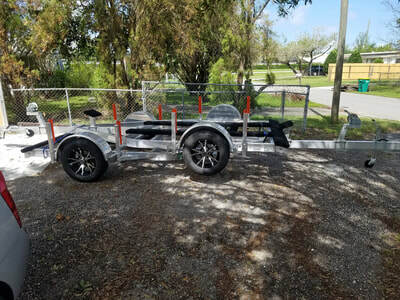 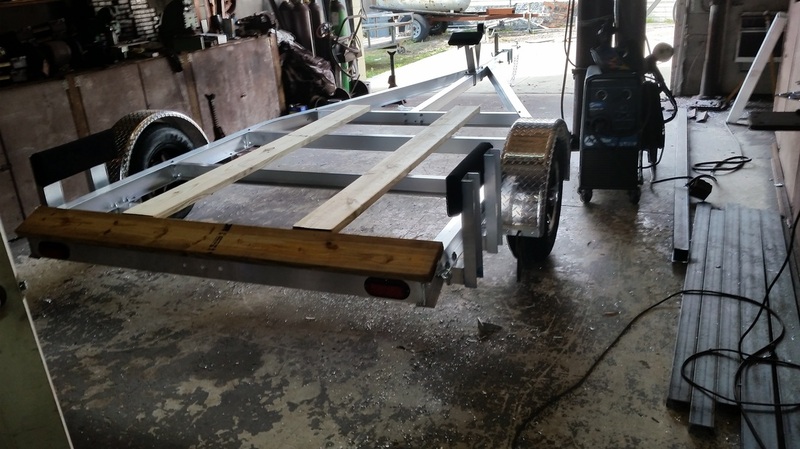 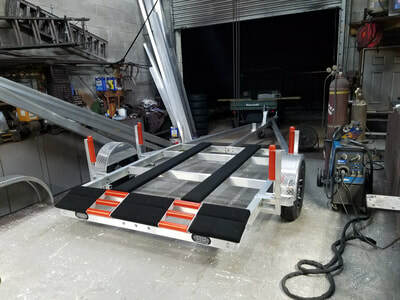 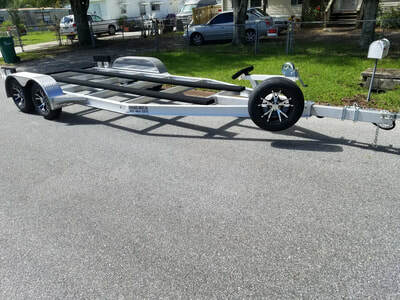 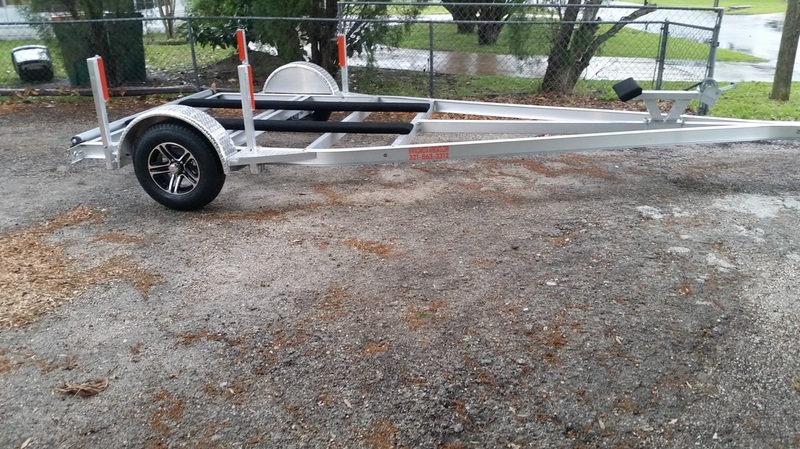 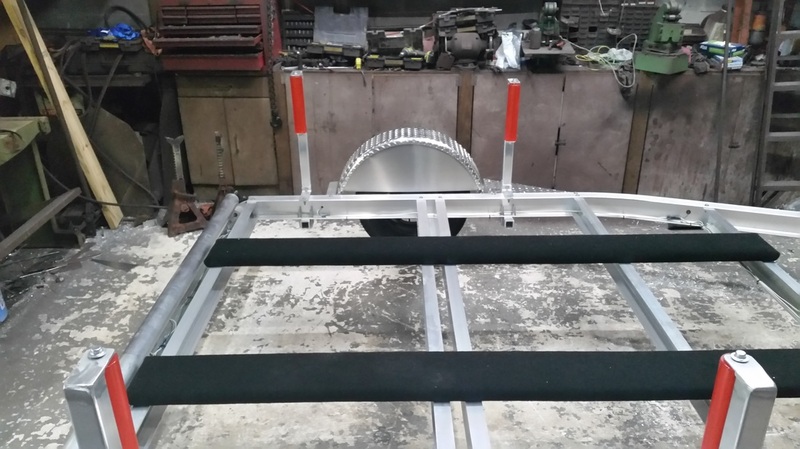 Our trailers come standard with 5 cross braces, double bend I beam, double wall tongue extra long so you have room to adjust it to fit other boats if needed . 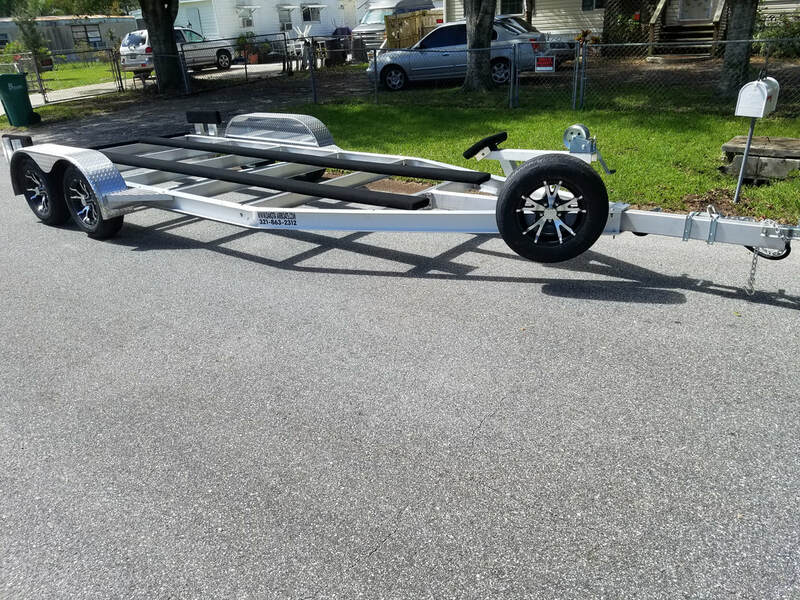 15" steel belted radial tires at no extra charge , beefy bunks that are adjustable not a little 1 1/2" piece of metal that breaks off when the boat hits it 3500 lbs. 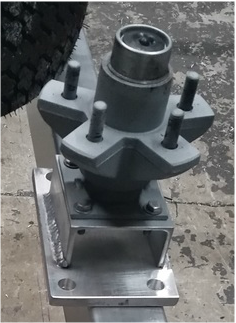 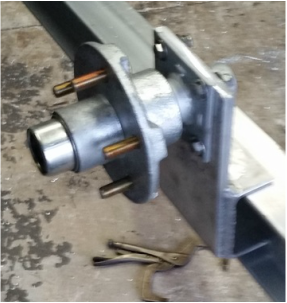 cambered torsion axle, all stainless hardware,1600 lbs. 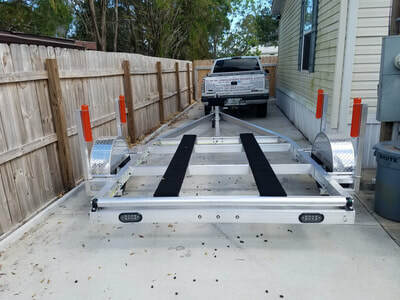 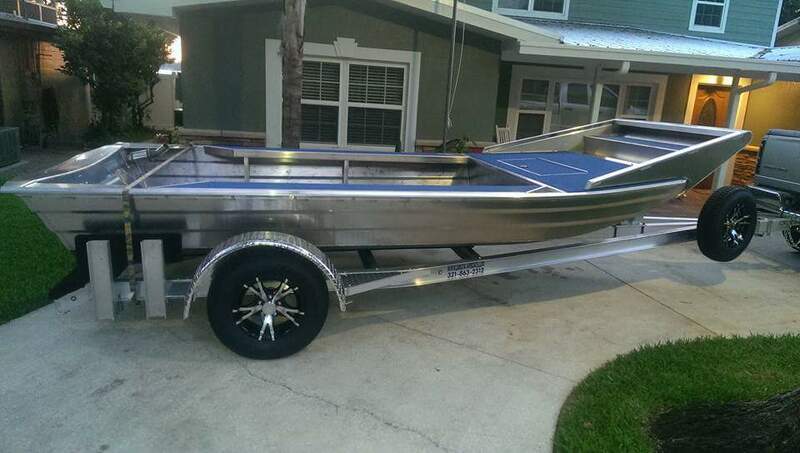 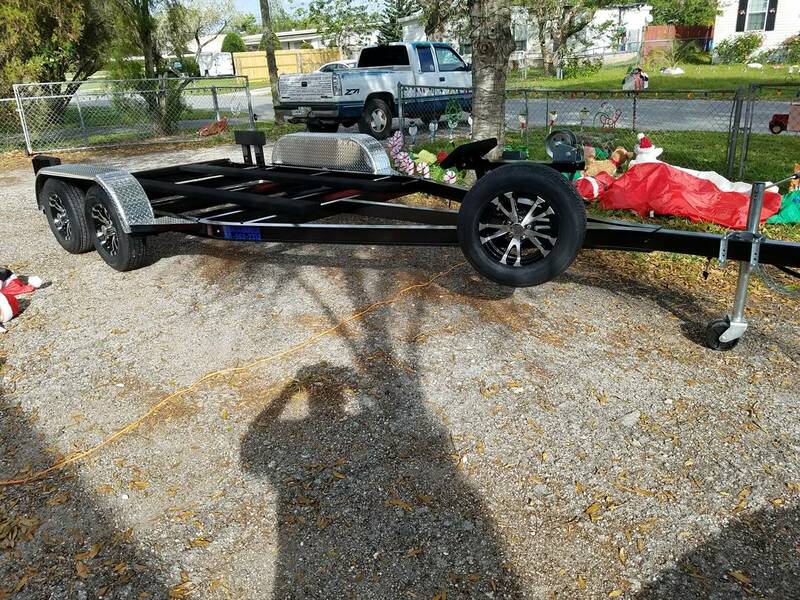 wench , jack with wheel, all flush mounted clear LED lighting with rubber threw hole grommets and marine heat shrink connectors and aluminum fenders with aluminum backs others don't use anything. And we stand behind our work for the life of your trailer.